Voting is a very important civic responsibility, but many people with disabilities either cannot or do not vote in their local, state, and federal elections, despite being eligible to vote! It is important to us at DRW that the disability community is properly represented in local, state, and federal politics, so we encourage all people with disabilities to get out and vote. 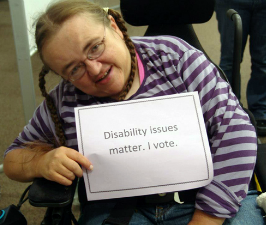 Remember, people with disabilities make up around 1/6th of eligible voters. Your vote counts! You should vote because your vote matters. That is why elections, and your participation in them, is so important. 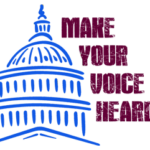 Your vote can determine the representation you get and directly impact the legislation that is passed and the rights you will get. Generally people pay attention to federal elections, such as election of the President of the United States, but even people elected in your local and state elections can make a huge impact on your daily life. So make sure to vote in local or midterm elections, too! Many elections are very close, so remember: Your vote DOES count. It matters, and it can change the outcome of an election. Voting is a great way to make your voice heard. Is Voting Different If I Have a Disability? Luckily, voting is your civil right in the United States and in Wisconsin. You have the right to the accommodations you need to vote in your local and federal elections. There are alternatives to transportation (Such as absentee ballots) and many resources available that allow you to figure out whether you are eligible to vote and to get you to the polls. Remember, federal law REQUIRES every polling place to have accessible voting machines and equipment to allow every individual the ability to vote privately and independently. You cannot be turned back from the polls because you have a disability. A resident of Wisconsin and the election district you vote in for at least 28 consecutive days before Election Day. Or if a person has been convicted of a felony and has not completed probation or parole. Wisconsin ID Card issued by the Department of Transportation (they will issue you a free one if it is for the purposes of voting and that is checked on your application). 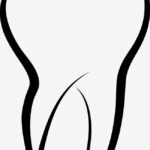 Not all IDs work (because it must have issuance date, a student signature, and expiration date within 2 years of issuance). Technical college ID will work if it meets criteria listed in above. Two poll workers must be in agreement that the voter is unable to sign the poll book. PROVISIONAL BALLOTS: If you do not provide an ID when you vote at the polls or by in-person absentee ballot and you are not already exempt, you will be given a provisional ballot to vote. Only counts, if you get ID to your clerk’s office by 4pm the Friday after Election Day. Receive help with voting from anyone (not your employer or an officer of your union). What if I don't have an Address? If you are without a house or permanent residence, you CAN STILL VOTE. When asked about residence for voting purposes, individuals can designate a fixed location as their residence, so long as it is an “identifiable location” in Wisconsin. It could be a shelter, a park bench, or any other location which you come back to. Likewise, if you are in a hospital, you may choose someone to pick up an absentee ballot from your municipal clerk’s office before 5 p.m. on election day. This requires you fill out an absentee ballot application first, and you can have the person pick up your ballot no earlier than seven days before the election. The ballot must be returned by 8:00 pm on election day. In Wisconsin, you can register to vote on or before Election day. You will always have to provide proof of residence when registering to vote, and if you vote at least once every four years and have not moved, you only must register one time. You can register at the polls on election day, by mail, or in-person at your city, town, or village clerk’s office. If you live in a residential care facility and a Special Voting Deputy visits, you, then you do not need to have a photo ID. 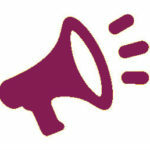 Please visit our Disability Vote Coalition Site for current information on elections and voting info. 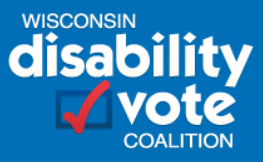 For help with disability related voting questions, including help to file a complaint, contact the Disability Rights Wisconsin Voter Hotline at 844-347-8683.